Diagnosed with ADHD only a year ago, guest Maria Billing made it a goal to research and find strategies to help her better control her life. An avid nature enthusiast with a penchant for idea hopping, Maria has ended up a world traveler with an assortment of hobbies. 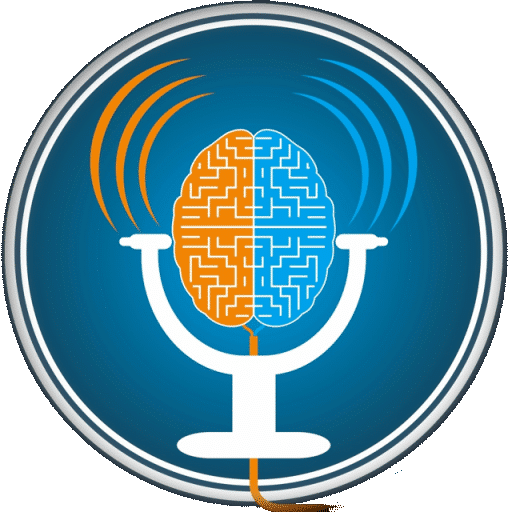 Maria discusses how, through the ADHD reWired coaching group, she redefined how she viewed success and failure, and the many strategies she uses for productivity. A world traveler, Maria loves visiting new places and has lived in Australia; Yorkshire, England; and now Stockholm, Sweden. Diagnosed with ADHD in 2014, Maria cites her ADHD as the most probable reason for her participation in twenty-six different sports (including folk dancing, tap dancing, horse riding, football, handball, and more) by the end of high school. 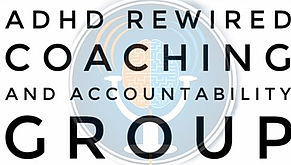 Maria met host Eric Tivers as a member of the ADHD reWired Coaching and Accountability Group. When first made aware of her ADHD, Maria began to check resources in Sweden for research. While she found a lot of technical information, there was little in the way of solutions or strategies for dealing with it. Nonetheless, she found little she could relate to – she wanted to follow in the footsteps of someone who understood ADHD completely, dealt with it on a daily basis, and had mastered ways to optimize their life. Maria is frequently inundated with a barrage of ideas. She calls her switching between them “idea hopping”. She found the term “idea hopping” from a chapter in Driven to Distraction at Work, a Ned Hallowell book. Often, upon having a new idea, she will try to act upon it immediately: for instance, planning to run through a boot camp at 6 AM after seeing a discount for one the night before. To help parse through all her ideas, she will write all of them down and then talk through them with a friend to figure out which one to prioritize next. Before she was diagnosed with ADHD, Maria had little to no knowledge of it. 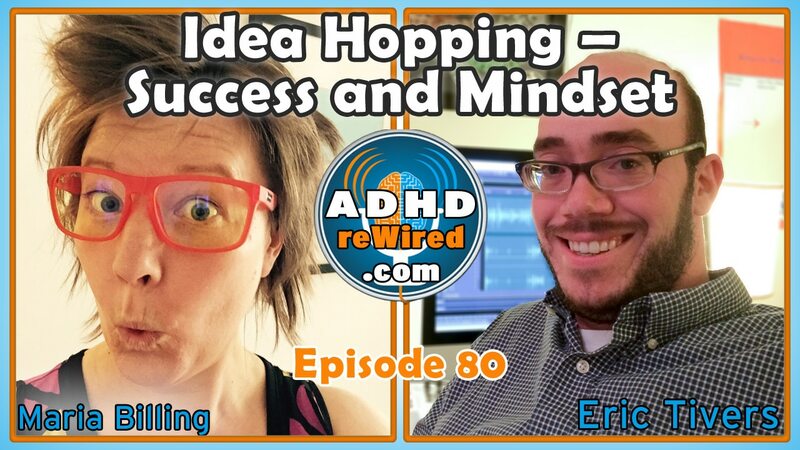 Researching ADHD, Maria found Eric’s podcast and signed up for the ADHD reWired Coaching and Accountability group soon after. Maria set a goal to learn more about ADHD and went all-in researching and studying information about it. She signed up for ADD Coach Academy, purchased books, listened to podcasts, and more. Her second major goal was to organize her life. Initially, Maria had no to-do lists, synced calendars, or file back-ups, and relied mainly on Post-It notes for tasks at work. Through the ADHD reWired coaching group, she learned systems and strategies that helped her better manage her work. After, the systems were in place, she felt she had more control over her work, was less overwhelmed, and could better manage her time. Alongside her studies of ADHD – and in line with her idea hopping – Maria took up a graphic design program for a while, though stopped eventually after it became too much to manage alongside the rest of her work. She feels as if she failed for not completing the program. Maria took part in the ADHD reWired coaching group in Spring of 2015. Now, over four months later, she is still using, on a daily basis, the scheduling and note-taking methods she learned. Despite achieving many of her goals in the coaching group, Maria still held onto a feeling of failure. Eric asked Maria to write down a list of all her achievements as an exercise to show how much she had accomplished. After hearing this list read back to her, Maria thought it was hard to listen to, saying that it’s hard to hear herself in a positive light. In addition to achieving her stated goals, Maria also accomplished a number of secondary tasks along the way, including spending more time with friends, learning Bhangra fitness dancing, and learning Angolan Kizomba dancing. Before she attended the coaching group and began to write down notes, Maria had little concept of her short-term memory issues. Maria cites the idea that “the biggest lie we tell ourselves is that we’ll remember, we’ll write it down later”. Now, with her notebook, Maria is saved from a lot of potential anxiety. She writes down any information she needs to remember in the notebook or as a note within her iPhone. One change Eric made to his methodologies is to write larger than he did before. That way, he fills up more space and ends up writing less, which has helped him keep his penchant for overworking in check. When away from his paper planner, Eric will use the Reminders application on his iPhone to remind him to add the note to his planner when he arrives at his office. Maria also schedules appointment notifications to remind her of, for instance, what to buy from a store on the way home from work. To motivate her through and remind her of certain tasks she disliked, Maria made use of visual reminders. For example, she drew a large bar chart on her wall and would fill it in as she completed an online course. A self-professed “nature nerd,” Maria really enjoys the outdoors and camping. After three days of camping away from city life, focusing only on the bare essentials of living, waking and sleeping with the sun, Maria feels refreshed. She feels the lifestyle in the city causes her a lot of trouble with her sleeping and focus. One of Maria’s secondary goals during her time in the coaching group was to spend at least one weekend per month in nature, which she accomplished. 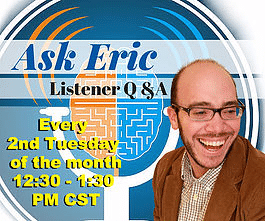 Eric mentions how, especially in the Chicago area, he usually becomes depressed in the wintertime due to how much time he spends inside and how much darker it is outside. Even stoking a fire in a fireplace or a bonfire outside, alongside home-cooked food, can be useful and invigorating – one doesn’t always have to go camping. Maria also loves a good sauna, which she says helps tremendously with her ADHD. She will sit in a wood-fired sauna while looking out over nature, then hop in a lake to cool off. Simply being aware of having ADHD and learning about how it works allowed Maria to stop being so hard on herself for having trouble with challenging situations. Before realizing certain tasks were problematic because of her ADHD, she would be more reluctant to ask for help. Now that she recognizes the problem, she can be more honest with herself about when to ask for help and not be ashamed to for help. Often, people will compare themselves to others, but they’ll end up comparing their inner selves to another person’s outer self, which isn’t a fair comparison. Eric suggests Amanda Palmer’s book The Art of Asking. In it, the author notes that oftentimes people want to help – you just need to give them the opportunity. Maria sees herself as someone who aims to be a high-achiever, but thinks and acts quickly. When she initially thought about her experience in the coaching group, she had forgotten about the goals she achieved and how much progress she made. When tasked with writing her successes down, however, she wrote one and a half pages. At the time, Eric told her that it seemed like her idea of success was not achieving 100% of her goals, but 125% or more. To help Maria re-define her idea of success, she now writes down at the end of the week all her successes from that week. Eric has been completing a similar exercise as part of a mastermind group he is a part of. 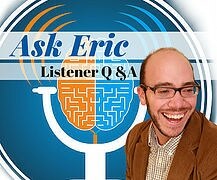 One of Eric’s goals this past week was to record three videos; he recorded two. However, the prior week he had the same goal and recorded none. So, that can be seen as a success in that progress and improvement were attained. Maria also realized she wasn’t asking the question of what barriers existed between her and completing her goals. Once she began to think about it, she began to find answers and solutions. Where would you go on a vacation tour? What is one adventure still on your bucket list? What would be a fun segment that could be held in place of the Random Question Round? Attend the ADHD reWired webinar on Tuesday, September 8th at 1:00 PM Central Time (GMT -5:00) here. Eric will cover productivity tools and techniques to help you automate and organize your life, while also talking about the upcoming ADHD reWired Coaching and Accountability Group.